This photo shows the compartment side of the coach. 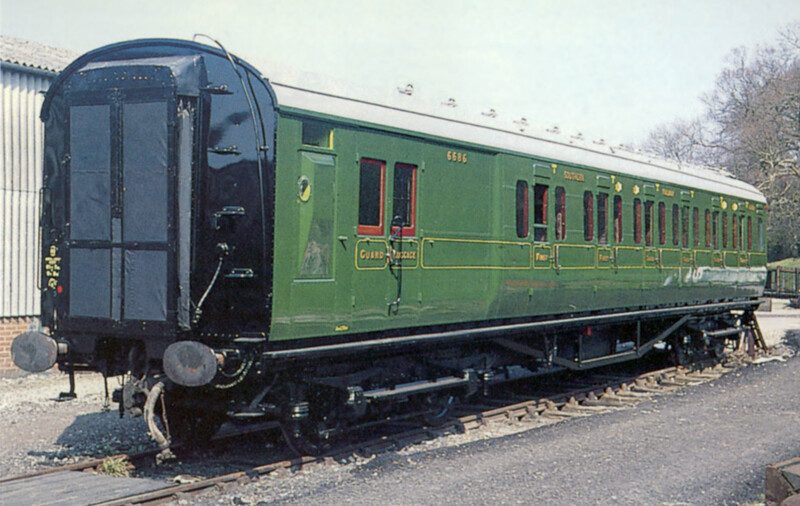 One of the later design of Maunsell coaches with entirely flush sheeting and windows, this coach was one of those selected in 1959 for refurbishment and the fitting of electric heating, for use on the Night Ferry train. 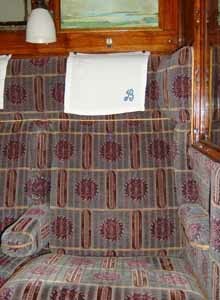 As such it enjoyed an extended life on British Rail, being the penultimate Maunsell coach in regular passenger service. 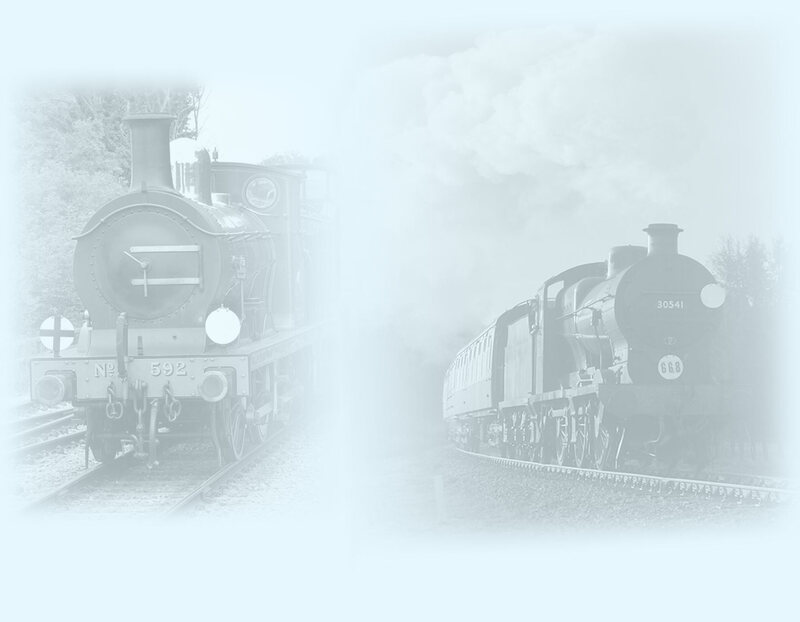 Preserved by the Southern Locomotive Preservation Co., it was based in various places in Hampshire until the closure of the preservation scheme at Liss led to its transfer to the Bluebell. It ran in service on the Bluebell until 1987 when it was withdrawn for a long-overdue overhaul. The interior was completely stripped out, refurbished and replaced following the completion of structural repairs to the ends, sides and doors. The complete bottom-side timbers, running the entire length of the coach, were replaced. All the external steel sheeting was replaced, and the coach re-entered service in April 1997. 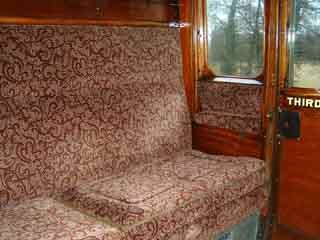 The restoration of this coach was Highly Commended in the 1998/9 Heritage Railway Association Carriage & Wagon Awards. 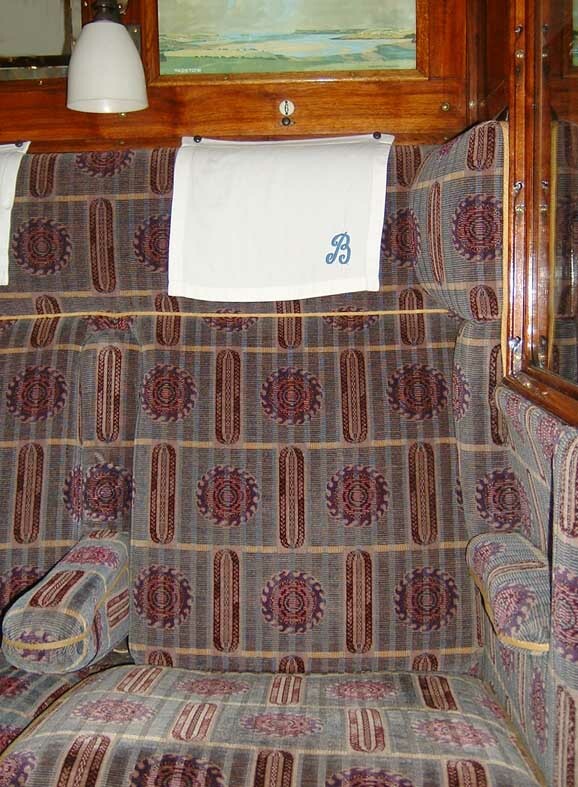 Left: Third-class seating in 6686. Right: First-class seat. (Both photos: Richard Salmon, December 2003). Page last updated by Richard Salmon, 26 December 2003 and Jon Elphick, 26 June 2017.